Three hydrophilic washcloths from Trixie in the collection Cheetah. Three hydrophilic washcloths from Trixie in the Crocodiles collection. After a nice bite of fruit you can easily wash the baby with these soft hydrophilic washcloths with nice flamingo print. The washcloths are packed for you in three. After a delicious bite of fruit, you can easily wash the baby with these soft hydrophilic washcloths with nice Indian print. The white with black washcloths are packed for three to three. After a nice bite of fruit you can easily wash the baby with these soft hydrophilic washcloths with nice cactus print. The washcloths are packed for you in three. Even more fun in the bath with this set of 3 cheerful soft terrycloths from the Danish brand Liewood. Completely out of style with the pink baby footmuff Stockholm, a true outdoor must have. The footmuff is lined with lust-resistant terry which keeps your baby warm and comfortable. The pink wrap cape Elba is a nice cloth for your baby to relax in or to wrap it up when you go outside. Wonderfully soft and stylish. Bathroom set by Trixie in the collection Cheetah. After the bath stay nice and warm in this beautiful super soft mustard colored bathrobe from Liewood. With this bathrobe you will turn into a very sweet little rabbit. Let your child safely step in and out of the bath with this Cat rose anti slip bath mat from Lidwood. With the suction cups you can attach this mat to the bottom of your bathtub and so your child can go in and out with a grip. Let your child safely in and out of bath with this Cat dusty mint anti slip bath mat Lidwood. With the suction cups you can attach this mat to the bottom of your bathtub and so your child can go in and out with a grip. 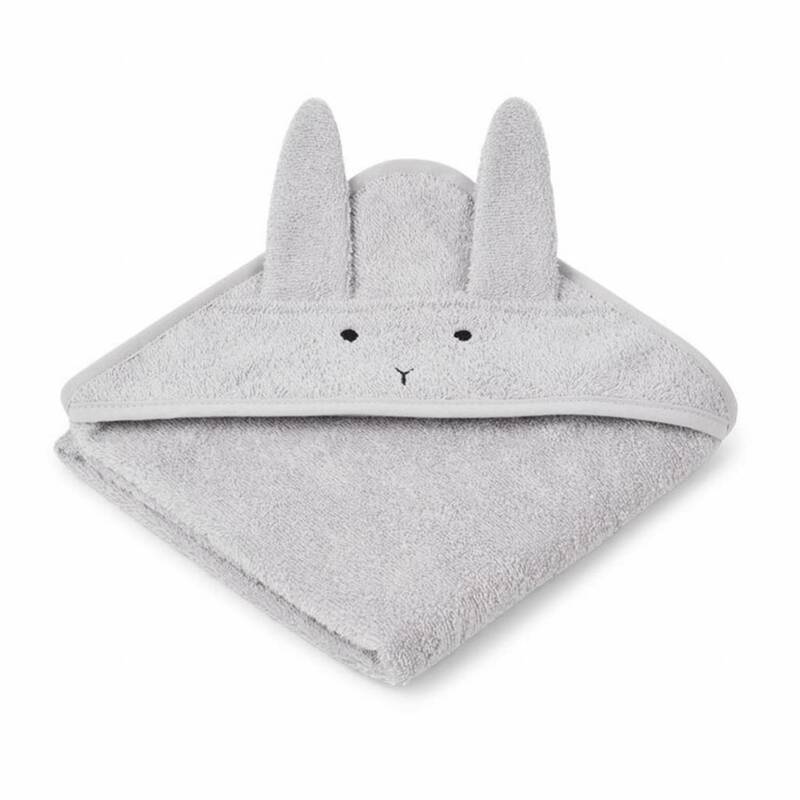 Gray rabbit baby bath cape from the Danish brand Liewood. Let your child safely get in and out of the bath with this Cat dumbo gray anti slip bath mat from Lidwood. With the suction cups you can attach this mat to the bottom of your bathtub and so your child can go in and out with a grip. Pink rabbit baby bath cape from the Danish brand Liewood. Bathroom set by Trixie in the Silly Sloth collection. Mustard yellow rabbit baby bath cape from the Danish brand Liewood. 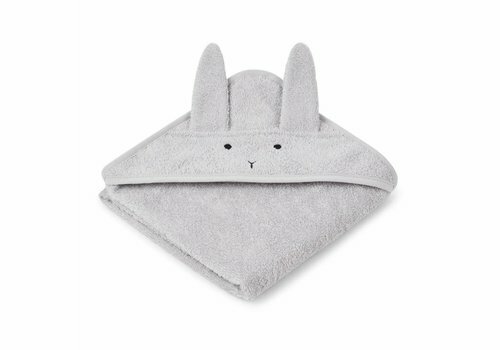 Dusty mint rabbits baby bath cape from the Danish brand Liewood. Panda creme de la creme baby bath cape from the Danish brand Liewood. After a nice bite of fruit you can easily wash the baby with these soft hydrophilic washcloths with nice Leopard print. The washcloths are packed for you in three. After a nice bite of fruit you can easily wash the baby with these soft hydrophilic washcloths with nice Safari print. The washcloths are packed for you in three.